Looks good, nice rims I would like to change my rims but can't afford that at the moment By the way, is that plasti dip or vinyl wrap? I'm guessing this must have been taken just after it was completed ? A one of a kind - though I did see a UK Z which has tried to copy this somewhat tut tut. Yes this picture was taken when I pick-up my RCz after they mounted the new wheels and the coil overs. So how does the car drive with the coilovers compared to stock suspension? Have you beaten the s... out of it since then to compare between both? 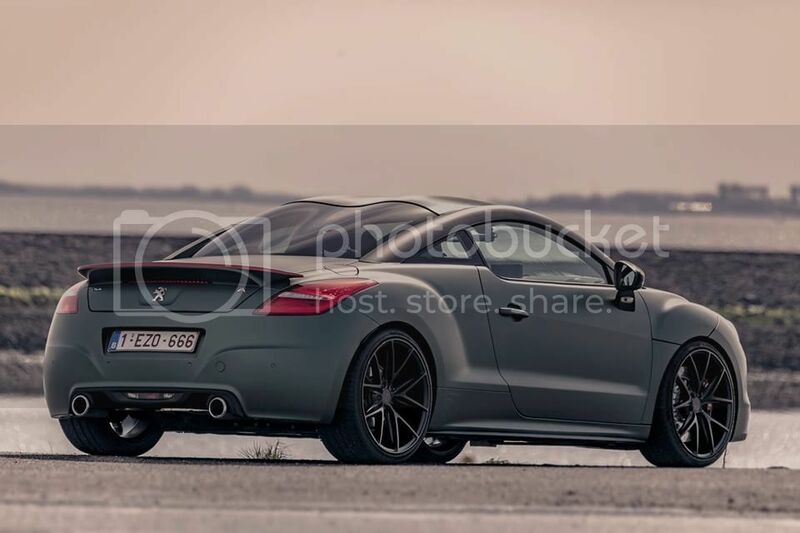 For the Peugeot RCZ there are not so many good coil overs to choose from. With must of them you can only adjust the rebound damping and compared to the OEM suspension of the RCZ R that would not be an improvement. So the people of Kean Suspension confinced KW to built me a custom made set of coilovers. It took a while before they wanted to do it, but finally the Competion department of KW built a custom made set. Also Kean Suspension Balanced the car completly. By that I mean the car was put on scales so they could measure the weight on the front wheels and rear. First they lower the car and they set the ride hight of the front wheels like you like it. Then they put the car on the scales again and lower the rear untill they have the same weight on the rear axle like original. Also the set up the suspension so the weight distribution between the left and right side of the car is 50/50. The result is that you have a perfect balanced car.